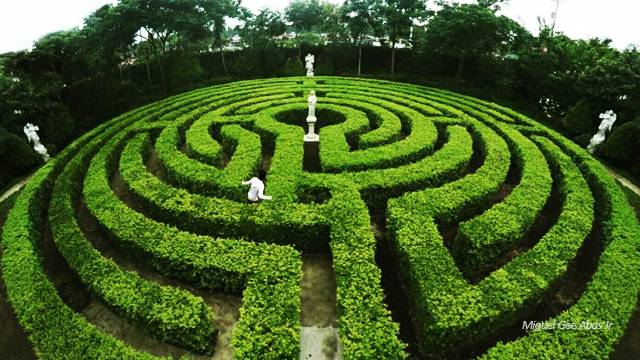 A 5-minute cab ride from Metro store (Toledo Proper) will lead you to this garden maze in Capilla Santa Ana situated in Sitio Santa Ana in barangay Ibo, Toledo City.. This is a private property so prior arrangments must be made.. 30-min historical tour of the relics of local & international saints will be conducted before you can visit this garden. photo and text by: Miguel Gee Abas Jr.